When I wrote about the little things that make us happy following Adam’s short and sweet blog post, I also brought up the fact that some of us have an artistic side to them. 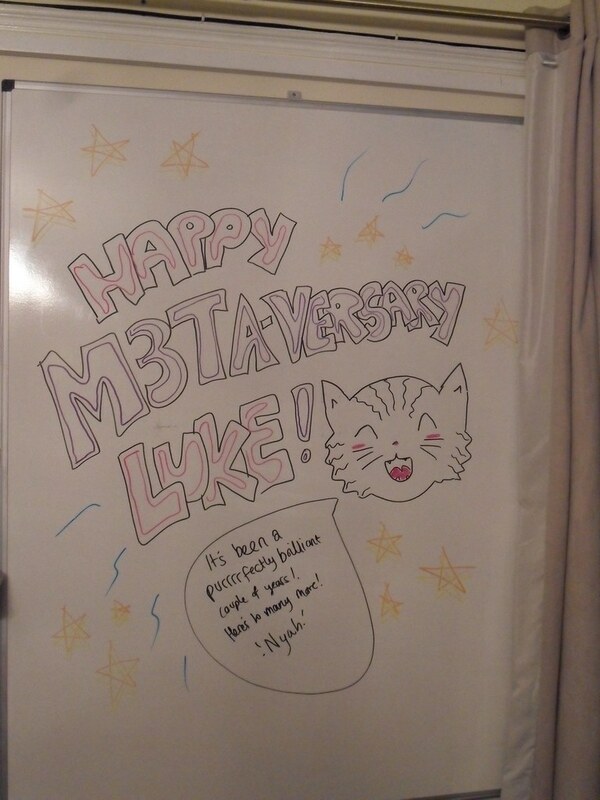 Our beloved Office Genie is one of those artists and both her latest blog post and her colourful contribution to Luke’s second metaversary reflect that. 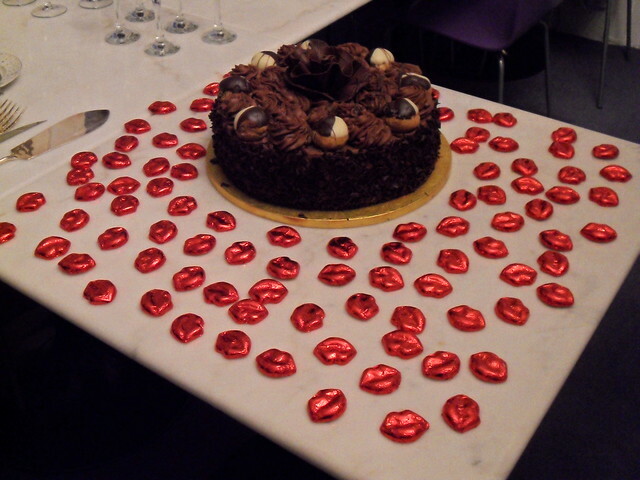 We had a first glimpse at Tiff‘s talent when she joined for a day, the final stage of our recruiting process. She guided us through her day in a cartoon streamline of events that made the team laugh hard 😀 Ever since, the whiteboards spread throughout both floors became canvases where she unleashes creativity now and then. With many canvas and a fun loving audience, it didn’t take long before a couple of miniature additions to someone else’s scribblings spawned here and there. 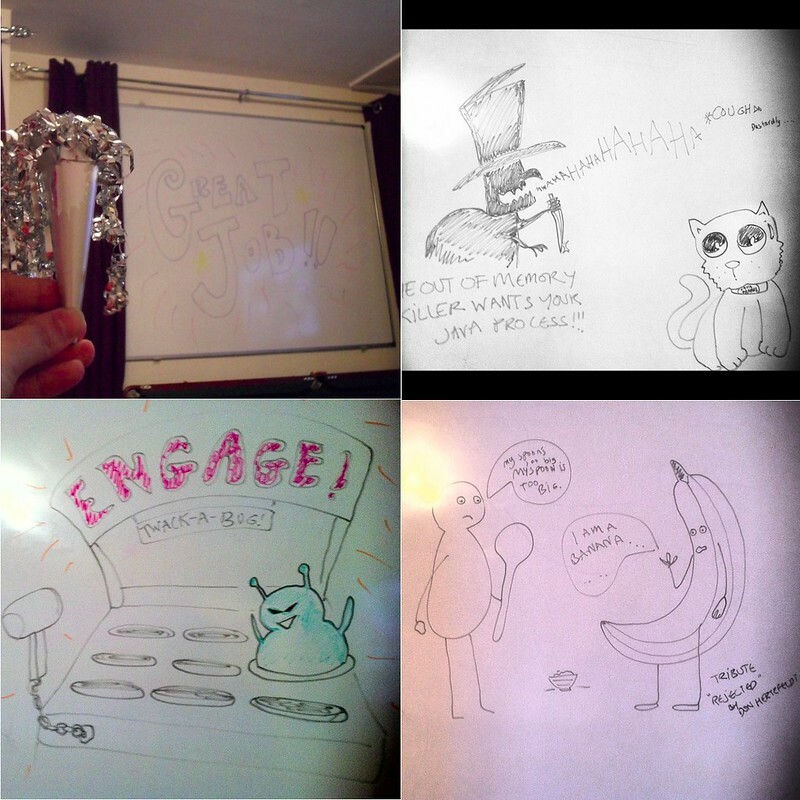 An encouraging team led to more creative outbursts and sporadic doodles were born. When the next doodle will emerge is unknown—that’s half the fun, frankly!—but they’re usually cooked from what the team is working on, subjects we’ve approached during our many chats or something that inspired Tiff. One thing’s for sure: they’re growing in size and frequency. Will we soon be able to have a favourite doodle of the month or something? Now that all the doodles have been revealed, I’ll say that my vote goes out to the Engage doodle, not only it’s very funny and accomplishes the goal, but it also reminds me of the conversation that led to that work of art. Funny, to say the least 🙂 What about you? What’s your favourite doodle? what is the best media metadata format?